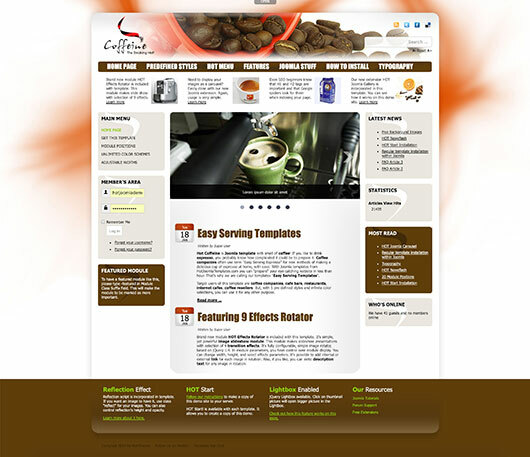 The Hot Caffeine is a Joomla template with smell of coffee! If you like to drink espresso, you probably know how complicated it could be to prepare it. 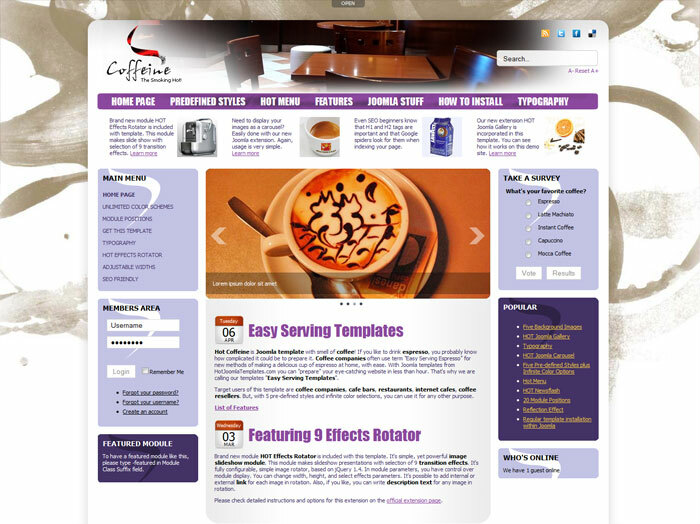 On the other hand, the development of cafe websites could be complicated as well. 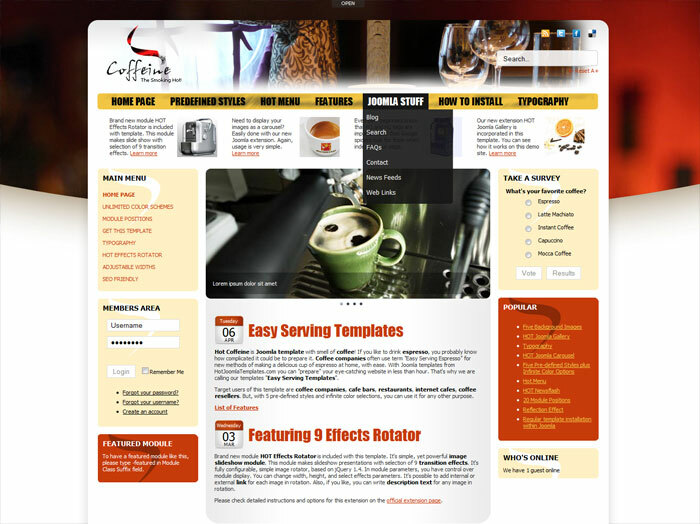 However, with the cafe template Hot Caffeine, it's much easier! Coffee companies today use term Easy Serving Espresso for new methods of making a delicious cup of espresso at home, with ease. With Joomla templates from HotThemes you can "prepare" your eye-catching website in less than hour. That's why we are calling our templates Easy Serving Templates. 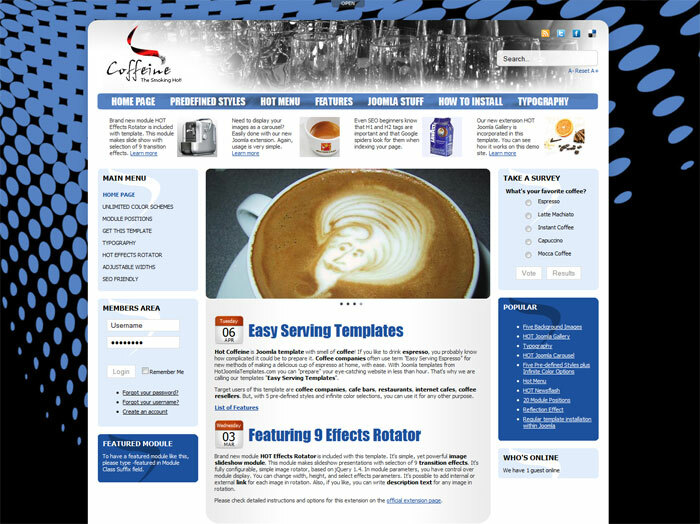 The cafe template is one more addition to our mission to allow everyone to create websites easier. 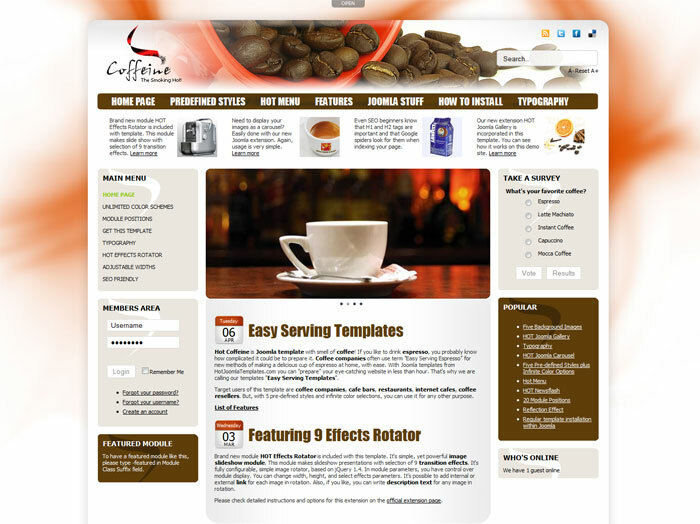 Target users of the cafe template are coffee companies, cafe bars, restaurants, internet cafes, coffee resellers. 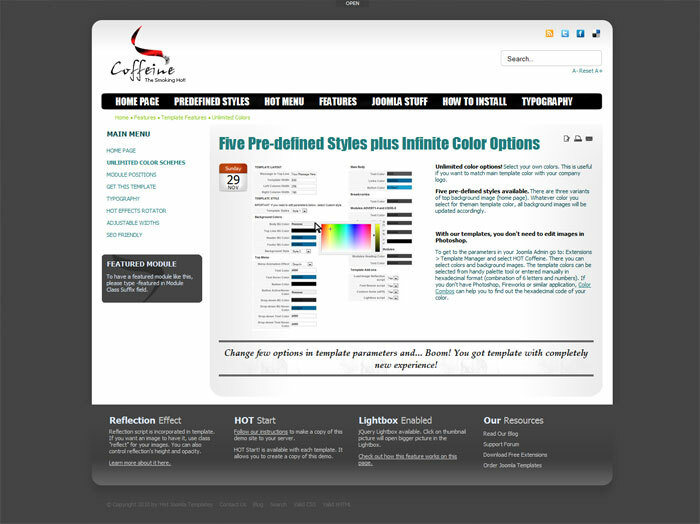 But, with 5 pre-defined styles and infinite color selections, you can use it for any other purpose.